Pricing is listed for digital copies only. Original artwork is subject to additional fees, shipping costs, and tax. 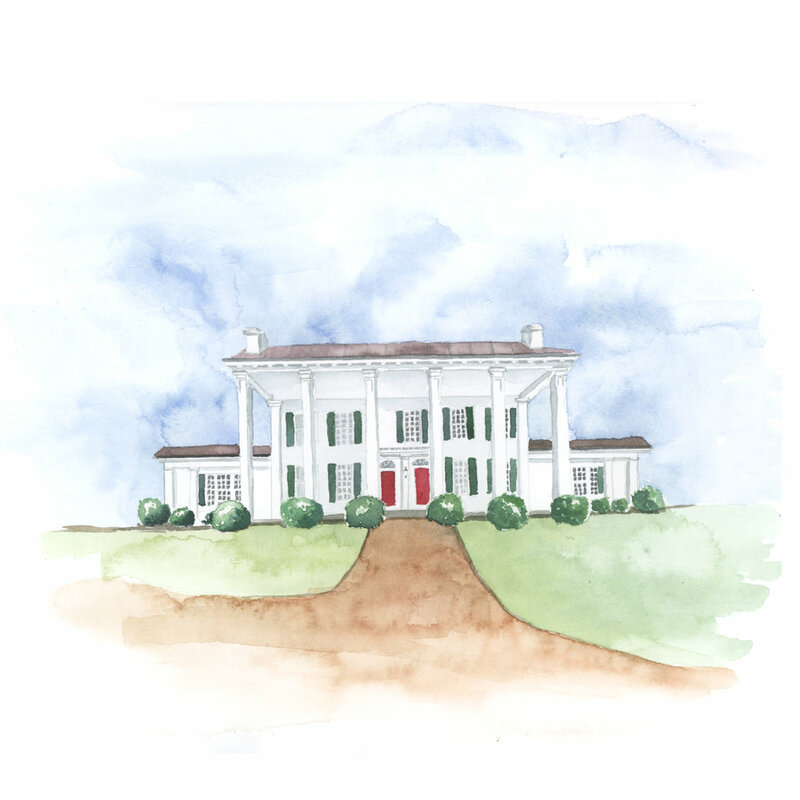 A watercolor portrait of your event venue or home portrait. Pricing is $150-200 for a digital copy. Original artwork is priced by size and is subject to additional shipping costs and tax. Pet portraits are $100 per pet for a digital copy. Original artwork is priced by size and is subject to additional shipping costs and tax. Wedding maps are $400+ depending on the number of illustrated elements. Original artwork is unavailable for wedding maps, but prints are available and priced by size. Floral Borders are $75 for a partial border and $150 for a full border. Geometric patterns and elements are $75+ depending on the intricacy of the pattern. Custom illustrations are $100+ depending on the intricacy of the illustration. When incorporating the above into an invitation suite, each piece may have an additional graphic design fee. All illustrations and images that have been commissioned are protected from unauthorized use by copyright law. Tiny Shindigs retains the right to use any commissioned illustrations on social media and to make these illustrations available to others on a non-commercial basis as examples of Tiny Shindig’s work. Any illustration used in any way must contain a credit indicating that Tiny Shindigs is the illustrator.